Fountain Hills in Arizona is in Maricopa County. It was established in 1970, a master planned community by McCulloch Properties. Prior to becoming Fountain Hills, the area was a cattle ranch. In the last 24 years, the population of Fountain Hills grew from a population of just over 10,000 to almost 23,000. The community is located on 13,006 acres of land, surrounded by McDowell Mountains and Scottsdale to the west, and the Fort McDowell Yavapai Nation to the east, the McDowell Mountain Regional Park to the north and the Salt River Pima Maricopa Indian Community to the south. The beautiful community boasts views of the desert. For those who like outdoor activities, the trails for hiking and biking will be a delight. There is also a challenging golf course for avid golfers. Perhaps the most famous thing in Fountain Hills is The Fountain Hills World Famous Fountain. At its full height, the fountain is 560 feet. From far beyond Fountain Hills, the white plume can be seen. Everyday viewing of the fountain is 330 feet. As the center for community events, it is an obvious point of pride for the residents. Those who enjoy art will find the self-guided walking tour a delight as they view some 150 pieces of art, and learn the things that inspired the artists. There are four parks to enjoy for some fun with family and friends. The community has been called one of the most pet-friendly towns in the valley with the Desert Vista Dog Park. The real estate in Fountain Hills includes single family homes, condominiums, townhomes, and duplexes as well as land to build on and luxury homes. The single-family homes are Tuscan style with three to five bedrooms. The lawns are landscaped and the streets well maintained. Students in Fountain Hills attend the Fountain Hills Unified School District #98. With the surrounding natural beauty, the many amenities in Fountain Hills as well as the options in Scottsdale and Phoenix for shopping, and entertainment make this a must-see destination for home buyers searching in the Scottsdale area. If you would like more information on homes for sale in Fountain Hills in Arizona, please contact us today and allow us to assist you. 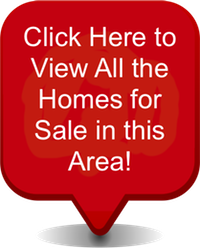 Access all Fountain Hills, Arizona homes for sale and real estate here. Properties in Fountain Hills, AZ are updated daily from the MLS, so be sure to return here for the newest listings for sale in Fountain Hills, Arizona.